Composer Danny O'Keefe recorded this number on no less than three separate occasions. He probably recorded the first version in 1967, either for the Jerden label, or for Piccadilly, but it was not released; then came a version on the Cotillion label in 1971; finally O'Keefe recorded his hit version for the Signpost label in 1972. 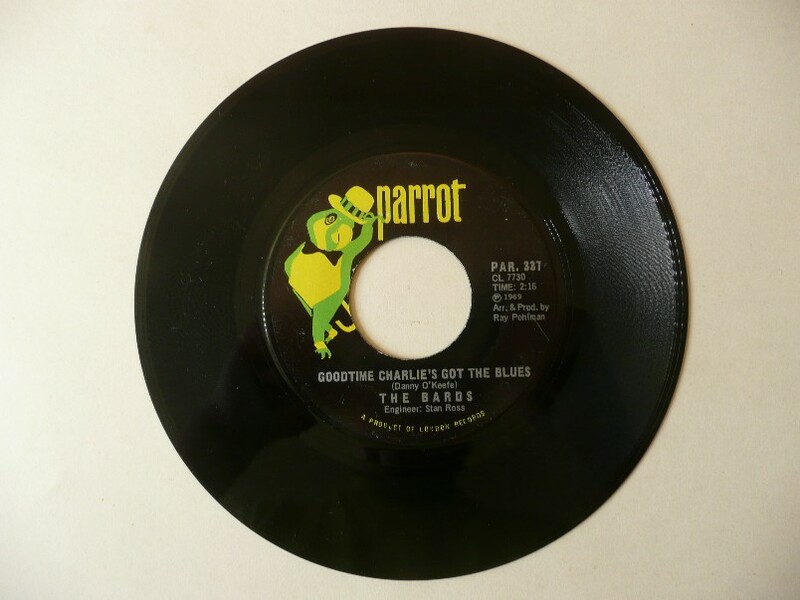 In the meantime, however, a relatively unknown group called The Bards, from Moses Lake, Washington, recorded the number and released it in January 1969 on the Jerden label (Jerden 907) and a few months later on the Parrot label (Parrot 45-337). Elvis did not sing the lines "I got my pills to ease the pain, Can't find a thing to ease my brain." Well, that's what you read everywhere, but according to The Bards' guitarist, Mardi Sheridan, the lines were, in fact, "Got my pills to ease the pain, Can't find a thing to ease the rain."